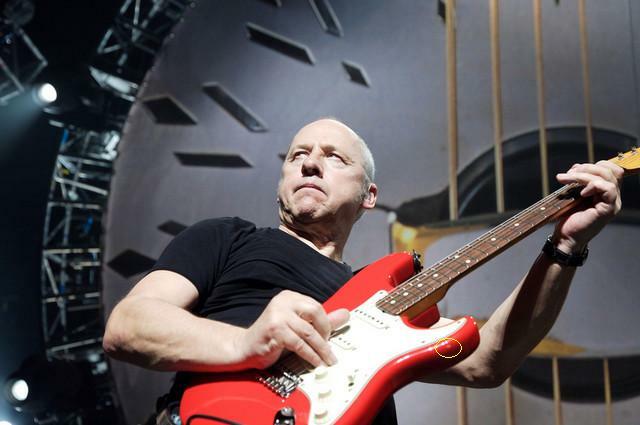 While working on the new gear database – especially on the pages about the different MK Signature Strats – I felt it difficult to tell from a picture which of his different signature Strats it is (Mark used alone three of these on the 2008 tour, and generally seems to use even more here and there). So I had to dig a bit deeper into the numerous pictures and viceo clips to find any hints how to distinguish between these. 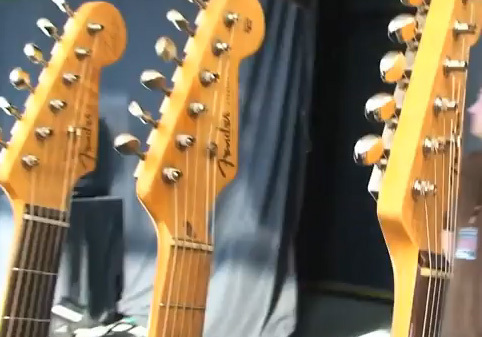 What was finally most helpful was Guy Fletcher’s video interview with Glenn Saggers, Mark’s guitar technician, in which we see the three MK sig Strats one next to the other. Generally, they almost look the same, although e.g. one of them – which was borrowed from Mark’s bass player Glen Worf – has a different, lighter colour – but even this is almost impossible to see with all the lights on stage pictures. One thing that is abit different on all Strats is the exact position of the Fender decal as this water slide decal is placed by hand on the headstock, and the position might vary up to half an inch or so. 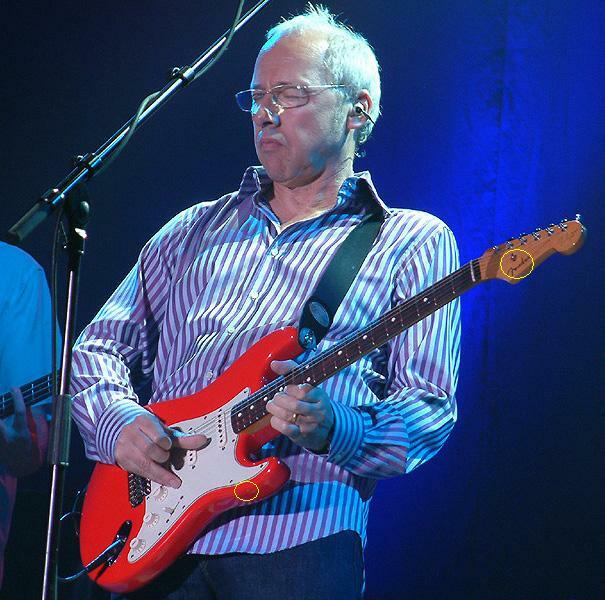 Similarly, the position of the string butterfly that holds down the e and b strings, and the position of the Mark Knopfler signature decal vary to some extent. With the help of these positions you can clearly tell from a (good!) 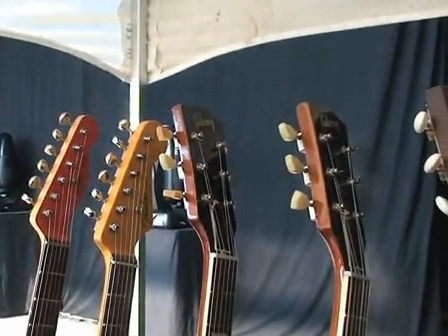 picture which guitar you see. Take a look at the following pictures demonstrate what I mean. 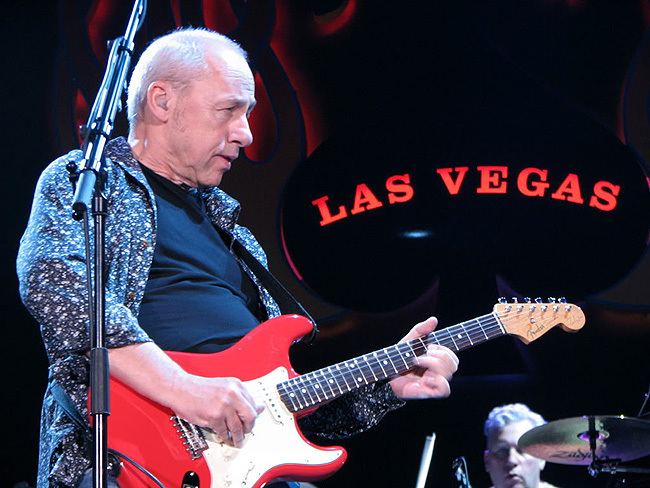 Mark Knopfler Signature Strat SE00001 (left) - Note how close together the string holder and the "d" of "Fender" are, the "d" is roughly in the middle between the a and d string tuners. 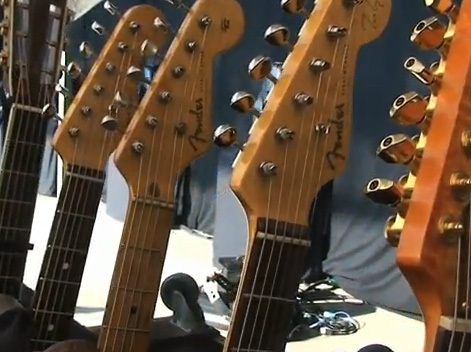 Glen Worf's MK Signature Strat (2nd from right) - note how the string holder and the "d" of Fender are also close together, but the "d" is more towards the d string tuner. Although we cannot see the decal here, the ding (circle) tells that this is again SE00000. 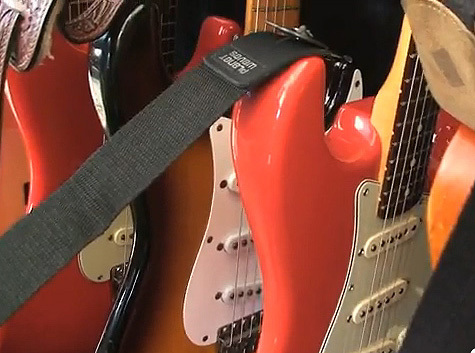 The sring holder and the "d" are close together and towards the d string tuner - this is Glen Worf's MK Signature Strat. Note that the decal with Knopfler's signature is also at a slightly different position, more towards the floor. Great! These are things that only you know! 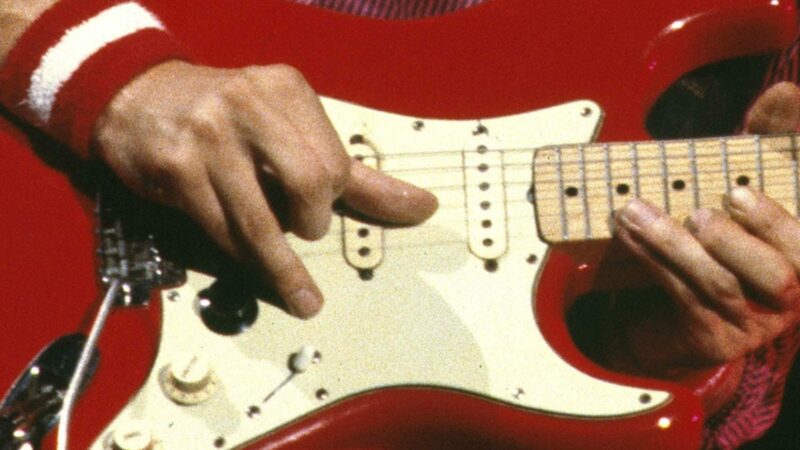 Ingo, what pickups would be in the prototype Strat used on the Hurlington club and in the interview with Phil Cunningham? To me, the prototype Strat sounds different than the normal MK sig Strat. It was played through the Tone King Imperial so it should gave a good comparison to the normal sig Strat.